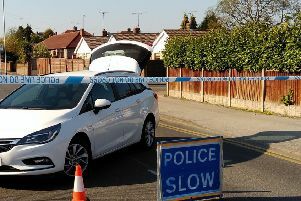 Police were called to a report of a stabbing near Westgate, Mansfield, at 2.50pm today, Monday October 29. A 16-year-old boy was taken to Queen’s Medical Centre after suffering stab wounds to the back. Two boys, aged 15, were arrested on suspicion of causing grievous bodily harm and remain in police custody. A police cordon remains in place near Heron Foods. If anyone has any information, please call Nottinghamshire Police on 101, quoting incident number 478 of October 29 2018.